The city of Salé, separated from the Moroccan capital Rabat by the Bou Regrag River, also has a festival dedicated to women. From 17 to 22 September 2012, the 6th Edition of the International Women Festival of Salé was on target with many activities. Eve was very present, taking part in the festival as actress and director. In addition, films by male filmmakers focusing on women were included. The opening film, Allemanya, a German production by the director Yasmin Samdereli of Turkish origin, dealt with the question of identity as a six-year-old child is rejected by his friends. Twelve films were in competition as follows: Morocco with the film Androman…of Blood and Carbon by Az larabe Alaoui; Egypt represented by the film Asmaa by Amr Salama; Djeca (Children of Sarajevo), a production from Bosnia-Herzegovina directed by Aida Begic; Hanezu by Naomi Kawase of Japan; Holland was represented by the film Black Butterflies about the South African poet Ingrid Jonker directed by Paula van der Oest; the United States also answered “present” at the festival with the film entitled La dernière piste by Kelly Reichardt; and the German filmmaker Jan Schomburg was part of this edition with his film, Above Us Only Sky; Christine François from France participated with a French-Benin co-production entitled The Secret of the Ant Children; another co-production, this time the Franco-Swiss film, The Child from Above directed by Ursula Meier; Russian Angelina Nikonova presented her film, Twilight Portrait; the film Rania by Brazilian Roberta Marques was also presented; and finally the filmmaker Andrès Wood participated with the film Violeta Went to Heaven, a Latino-American co-production (Chile and Argentina). As usual, a tribute was made to four women of cinema: Nouzha Drissi, who died 4 December 2011 while preparing the 4th edition of the documentary film festival that she founded; nationally renowned Moroccan actress Amina Rachid; the Egyptian Taysser Fahmi, known for her political engagement and a notable figure at Tahrir Square in Cairo at the time of the 25 January 2011 revolution; and finally the Iranian Fatemeh motamed Arya also committed activist for women and children’s rights. During the evening of Saturday 22 September, Salé set the date for another meeting at the 7th edition 2013 as the results of the jury were announced. The jury members, composed solely of women filmmakers and actresses, included: Aruma Vasidev of India, founder of the Asia Film Festival of New Delhi; Egyptian actress and television series star Abeer Sabir; Iranian actress Fatemeh motamed Arya; filmmaker and producer Fanta Régina Nacro of Burkina Faso; for Morocco the host country, was filmmaker Salma Bargach; and French actress and filmmaker (and singer when necessary) Myriem Mezieres. The closing ceremony of this edition caused delight for the Japanese director Naomi Kawase with the film Hanezu, which won the grand prize of the festival; and Az ara Aloui with his film Androman…of Blood and Carbon, which shared the Jury Prize with the Chilean film Violeta Went to Heaven by Andrès Wood. The prize for the best actress went to Karis Van Houten from Holland for her role in the film Ingrid Jonker, while actor Kacey Motte Klein won the prize for the best actor in the film The Child from Above; the best screenplay went to the Russian film Twilight Portrait, and for the Jury’s Honorable Mention, to Amr Salama of Egypt for the film Asmaa. This edition also announced the creation of the Union of Moroccan Filmmakers and Authors (URAM) whose objective is to contribute to the professionalisation of cinema; its president is the young filmmaker Nawfal Barraoui. Women and Intangible Cultural Heritage: The experience of the “creative” documentary film in sub-Sahara Africa by Bertrand Cabedoche, professor of Sciences de l’Information et de la Communication and in charge of the chair of Unesco Communication internationale de l’Université Stendhal-Grenoble. Aminta Ngom is mad. Her pain cries out on screen. Director Khady Sylla films this malaise, sometimes behind the camera, sometimes on the screen. In making this film, atypical in its treatment of madness as a theme (a very sensitive topic as it crosses the line of a reality that is not revealed publicly), Khady Sylla conducts her own therapy, pushing the limits of the unspeakable. “I see what others cannot see, explaining it to those who have not experienced this suffering that plagues the world.” Beyond this very encouraging artistic critique, it is symbolic of an African cinema renewal. 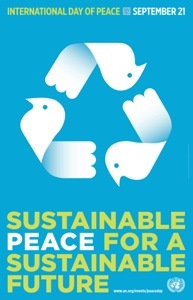 Moreover, the above reinforces Africadocs’ investment in the initiative. The Africadocs Association has worked to build new relationships within the filmmaking sector and to renew terms with all stakeholders, especially with women. From this special experiment, the anthropological gaze on the African woman emerges transformed, directed by the African woman herself, as subject, filmmaker and producer of her own image. The genre and format of the documentary (52 minutes on the screen) across all productions, seem particularly well suited to the continent, in terms of film projects in general. The importance of the scriptwriting workshops, which have expanded to a dozen African countries since 2003 (Senegal, Mali, Burkina Faso, Togo, Gabon, Mauritania, Congo, Niger, Cameroon, Cape Verde ...) is indicative of the crop of projects that has emerged from them attesting to the need to document, to influence the way Africa is represented to the world, to confront social contradictions, and even to fantasise, especially when the issues deal with the reality of African women’s lives. For it is on this experience that both male and female documentarist focus in search of a new aesthetic, as well as a renewed écriture regarding social issues, past and present, but that are also in constant evolution. The perspectives of our contributors –makers, organizers, distributors, theorists and critics of film- all offer to deepen and nuance our understanding of the manner in which we engage with various aspects of film and the film industry. 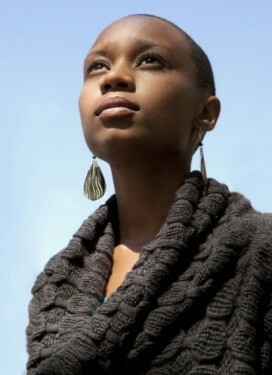 These include the history of colonial subjugation and enslavement, as well as contemporary global cultural regimes, all of which have operated to erase and mis-represent women from Africa and to service the appetites and cravings of others, in ways that were often at the very least inimical to our well-being. 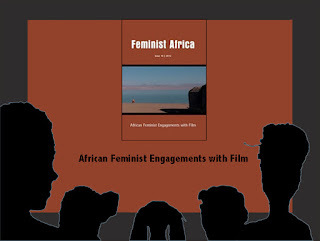 Feminist Africa presents its Issue 16 2012, "African Feminist Engagements with Film". Founded by noted scholar, writer, theorist, and film producer Amina Mama, its aim is "to provide a forum for progressive, cutting-edge gender research and feminist dialogue focused on the continent." 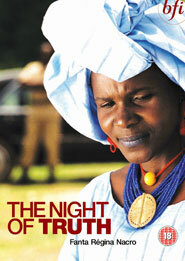 The Issue 16 2012 is co-edited by writer and filmmaker Yaba Badoe and filmmaker and professor Salem Mekuria. With a rich international selection in lesbian cinema, the festival proposes four days of film screenings (fiction, documentaries, short and animation), as well as exhibitions, debates and exchanges with the public. 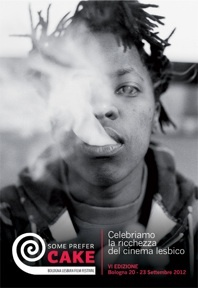 Visual activist Zanele Muholi will be the guest of honour of the 6th edition of Some Prefer Cake with an exhibition and audiovisual project focusing on the life of lesbians in South Africa. Continuing this rich exploration of lesbian histories with U.S.-based Indian filmmaker and gay activist Sonali Gulati on the victory of the LGBT Movement against the Section 377 of the Indian Penal Code criminalising homosexuality. And finally a focus on theory with a tribute to two principal figures of U.S. lesbian thought, the late poet, activist and writer Audre Lorde (with the latest film about Lorde), and theorist and poet Adrienne Rich who died in March this year. The 6th Edition of the International Women Film Festival of Salé in Morocco will be held 17-22 September 2012. The purpose of the Festival is to underscore women’s artistic cinematographic contributions. Moreover to give women and women of the moving image in front of, on and behind the camera, the recognition that they deserve. This edition, which marks its coming of age, is devoted in particular to “women’s cinema”. 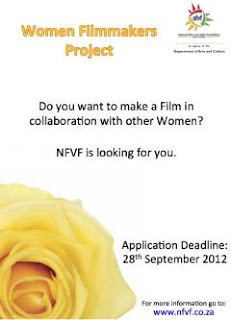 - An official competition of recent feature films (2012, 2011) focusing on women-related themes. 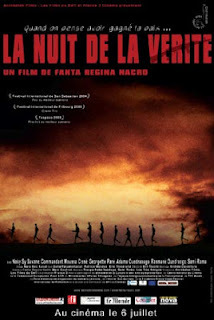 - A tribute to Argentinean cinema. - A perspective on independent cinema (a forum and screening of a selection of films representing a generation of filmmakers that have emerged during the last two decades and who have focussed on issues relating to women in the Maghreb and the Mashrek). - Special screenings of films (feature and documentary) which represent a particular sensitivity to women focussed subjects. 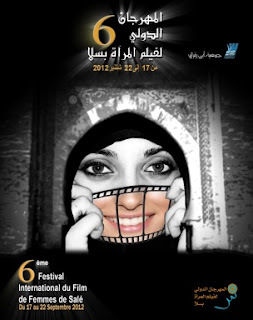 - A window on Moroccan feature and short films directed by Moroccan female filmmakers and talented young people. - A forum entitled, “independent cinema, present and future” highlighting the experiences of the Sundance Institute of the United States, the French-based l’Agence pour le Cinéma Indépendant et sa Diffusion, la Chambre Nationale des Producteurs de Films in Morocco and the Tunisian-based Association des Réalisateurs de Films. - A cinema lesson: a testimony of the rich and wide-ranging career of Egyptian filmmaker Ossama Fawzi. - A scriptwriting workshop facilitated by Moroccan and international professionals. - Taiseer Fahmy, Egyptian actress. - Amina Rachid, Moroccan actress. - Fatemeh (Simin) Motamed Arya, Iranian actress and activist for women and children’s rights. - A posthumous tribute to Nezha Drissi (also known as Nouzha Drissi), producer and founder of FIDADOC in Agadir, Morocco. La 6ème édition du Festival International du Film de Femmes de Salé au Maroc se déroulera du 17 au 22 septembre 2012. Le Festival International du Film de Femmes de Salé a pour finalité de mettre en exergue tout apport artistique cinématographie à même de donner à la femme et de la femme l’image qu’elle mérite devant, sur et derrière l’écran. Cette édition qui marque le passage à la maturité se positionne en tant que manifestation consacrée spécialement au « cinéma féminin ». - Une compétition officielle de films de long métrage récents (2012_2011), traitant la thématique de la femme. - Un hommage au cinéma argentin invité du Festival. 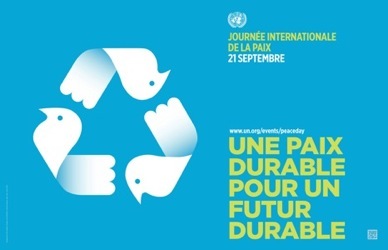 - Un regard sur le cinéma indépendant par l’organisation d’un forum sur le sujet et par la projection d’une sélection de films représentant une génération de réalisateurs qui a émergé ces deux dernières décennies et ayant une sensibilité aux problèmes de la femme au Maghreb et au Machrek. - Des projections spéciales de films et de documentaires dont certains ont une sensibilité particulière avec le thème de la femme. - Une fenêtre sur le long métrage marocain et le court métrage réalisé par des réalisatrices marocaines, jeunes talents. - Un forum sur « le cinéma indépendant actualité et avenir » en mettent en exerque l’expérience de « Sundance Institute » aux U.S.A, l’Agence pour le Cinéma Indépendant et sa Diffusion en France, la Chambre Nationale des Producteurs de Films au Maroc et l’Association des Réalisateurs de Films en Tunisie. - Une leçon de cinéma, témoignage d’un parcours riche et diversifié du réalisateur égyptien Ossama Fawzi. - Des ateliers d’écriture de scénario encadré par des professionnels marocains et étrangers. - À titre posthume : Nezha Drissi (parfois créditée sous le nom de Nouzha Drissi), productrice, fondatrice du FIDADOC à Agadir, Maroc. Filmmaker Marie-Louise Sarr, who manages the Master 2 Réalisation Documentaire de Création (RDC) at Gaston Berger University (UGB) in Saint Louis, Senegal, talks about how she came to cinema, and the specificities of the programme. It was precisely in October 2007 that my path crossed that of cinema. I had just finished writing my master’s thesis in geography and I heard that a new programme for documentary filmmaking at Gaston Berger University was about to begin. I had always wanted to use the image as a means of consciousness-raising and did not want to miss the occasion to do so. Hence, I submitted my application and was accepted, and began my cinema studies with colleagues coming from other African countries. It was difficult at first because I was the only one in my class who had not made a film, written a script nor studied filmmaking. Initially I struggled to keep up with the others, but bit-by-bit I got into the rhythm of it and at the end I received my diploma and made my graduation film, “Chaîne alimentaire’ (Food Chain), which has been very successful at festivals. I am actually preparing the shooting of my first feature film, “Returning to Joal” which is scheduled to begin the 10th of September 2012. The Master 2 RDC at Gaston Berger University exists since 2007, what are the objectives of the programme and what have been the results in the past five years? The Master 2 Réalisation Documentaire de Création (Master in documentary filmmaking) was established at Gaston Berger University in Senegal in October 2007 thanks to the collaboration between the University, and in France, the University of Stendhal in Grenoble and the Association Ardèches Images (Africadoc). Each year eight students from francophone African countries are received, and for the first time, for the 2012-2013 academic year a French candidate was admitted. • To give the students access to the requisite artistic skills of documentary culture that also meet the demands of the industry. To provide West Africa with high-level training in an area where the continent must be present or otherwise risk cultural dilution. To strengthen the foundation of professionals in cinema and the audiovisual documentary in Africa. To ensure generational renewal and bring the profession as a whole to a highly qualified level. Since the past five years of its existence, some thirty films have been made about Saint Louis and its surroundings, which constitute an important visual heritage. Also with periodic organised screenings in the neighbourhoods and weekly film club meetings at the university, a cinema culture is in the process of developing in the old city, as well as a framework for exchange between cineastes, film enthusiasts, students and the cultured public. Added to this is the promotion of African culture by the presence of diverse nationalities, each of which leaves its mark on the different films that are made each year. Talk a bit about your experience managing the Master 2 RDC? It is somewhat difficult to talk about my experience, as I do not yet have a lot. But yes, I have already supervised two classes, though I need more time to acquire experience. I can say that I learn a lot being in contact with students and instructors of different nationalities. Indeed it is not easy to supervise adults coming from different backgrounds and having a different culture and education. But by dint of trying to communicate and understand others, we are able to establish the necessary dialogue for training and teamwork. In terms of the administrative aspect for which I only had a basic notion at the start, I can say in all modesty that I have managed pretty well, especially in terms of planning and programming the instruction. 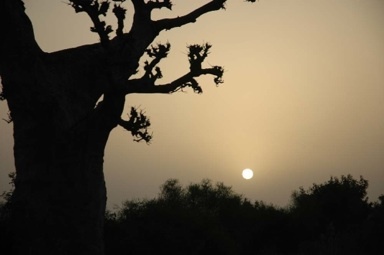 There are several activities connected to the Master 2 RDC—a festival, a day-long programme for study and reflection—what are the outcomes as it relates to the Senegalese public in particular and the cinema culture there in general. The “Saint Louis en Images” festival, which is in its first phase, is an initiative implemented during the fifth year. The first edition was a barometer to measure the turnout among St. Louisians and their interest in cinema. This year we focused more on schools, but for the next editions we expect to broaden our scope in order to touch the maximum amount of people. 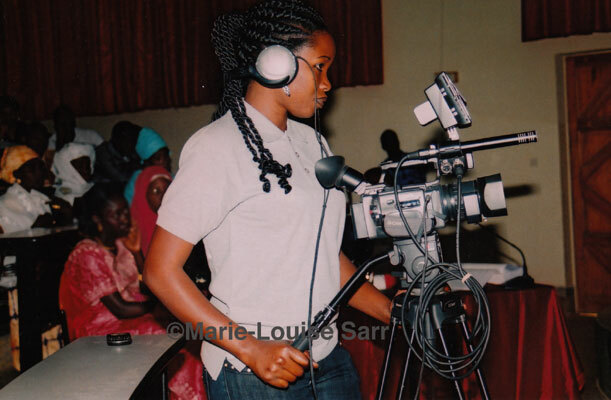 As it relates to the daylong programme for study and reflection organised every year by GRECIREA (Groupe d'Etude Cinéma du Réel Africain), it produces a multidisciplinary study on the emergence of a new documentary cinema in Africa since the 2000s. The organisers could give you more details on its outcome as it relates to the Senegalese public. I see a strong presence of women in the Master 2 RDC, do you think that this tendency is due to recruitment or is it the result of a raised consciousness among women regarding this field? The strong presence of women initially comes through recruitment. Since the first class, the Master 2 RDC has encouraged women to apply. Hence, the first year comprised of 4 women and 4 men, the second year, 5 men and 3 women, the third, 4 men and 4 women and so on…But I think that it is a more general trend that is not limited to cinema. We live in an era where “equality” is the law and it has raised awareness among women who are positioned to take part in all spheres of activity. There are no longer activities that are reserved strictly for men and vice versa. In my opinion, the 7th art has not been excluded from this wave, hence, the influx of women candidates. Interview with Marie-Louise Sarr and translation from French to English by Beti Ellerson, September 2012.